This RFP is designed to drive population health by leveraging and magnifying the success of accessible, pharmacy-based immunizations in collaboration with other healthcare professionals for the good of patients nationwide. 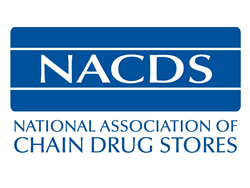 The National Association of Chain Drug Stores (NACDS) today announced a request-for-proposals (RFP) that will result in up to two awards of $300,000 each for demonstration projects to foster healthcare collaboration across the care continuum to increase pharmacy-based immunizations. According to the project goals described in the RFP, successful applicants will develop and implement a value-based payment model that is scalable and replicable, and that results in improved immunization rates for a targeted population that are recorded within the appropriate state-based registry. The models also will feature innovative methods for sharing immunization information among the participating health plans or systems, accountable care organizations, community pharmacies and patients. The awardees also will collaborate with public health agencies to improve pandemic vaccine preparedness. The demonstration projects that are the subject of the RFP are intended to contribute to the fulfillment of the objectives behind an $800,000 grant to NACDS from the Centers for Disease Control and Prevention (CDC). Specifically, the two-year grant from the CDC to NACDS is intended to examine innovative healthcare collaborations designed to demonstrate increased rates of pharmacy-based immunizations including influenza, pneumococcal, pertussis and herpes zoster. The grant also focuses on improving pandemic planning among pharmacies and state health departments, in addition to improving access to HPV vaccine resources and education for pharmacists. Applicants must indicate via email by March 4, 2016, their intent to apply, and responses to the RFP are due April 1, 2016. NACDS anticipates that notification of awardees will occur on April 29, 2016. The project end date is August 31, 2017. NACDS is making available for potential applicants an optional conference call on February 23, 2016, at 4:00 p.m. EST, during which questions will be answered to aid in the development of proposals. This RFP is supported by Grant Federal Award Identification Number, IH23IP000985, for $800,000 funded by the CDC. The content of this Request for Proposals is solely the responsibility of the authors and does not necessarily represent the official views of the CDC or the Department of Health and Human Services. One-hundred percent of the project funded by the CDC grant is financed through federal funds. Zero percent of the project funded through this federal grant is financed through non-government sources. The full grant amount will be used to fund the project.